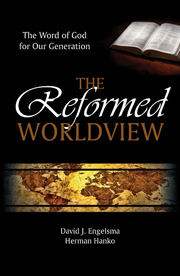 The Christian worldview is authoritatively – and clearly – made known to all believers in inspired Scripture. The worldview of the Christian is God’s own view of the world, of history, and of the place of each of us in the “big picture”. We may not invent our own worldview. If we do, our worldview is false. The consequences of a false worldview will be disastrous for ourselves and for all whom we mislead. 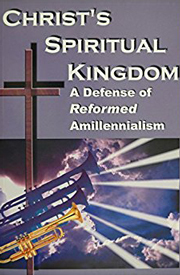 Originally published as a series of articles in the Standard Bearer magazine, Christ’s Spiritual Kingdom: A Defense of Reformed Amillennialism is a must read for those struggling with the “ill-winds” of the Christian Reconstruction Postmillennial and Dispensationalist Premillennial views being presented today. In clear and easily understood language, the author brings to focus the true meaning and implication of the often-used term “Kingdom of God”. The truth of Scripture is logically and forthrightly presented against the falsehoods of the Dispensationalists, the Christian Reconstructionists, and the Theonomists prevalent in today’s society and in much of the church world. The book leaves no doubt concerning the Reformed perspective of the end-times and the coming of Christ’s heavenly kingdom.